The objective(s) of Article 102 TFEU, what exactly makes a practice abusive and the standard of harm under Article 102 TFEU have not yet been settled. This lack of clarity creates uncertainty for businesses and, coupled with the current state of economics in this area, raises an important question of legitimacy. 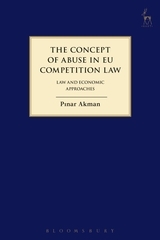 Using law and economic approaches, this book inquires into the possible objectives of Article 102 TFEU and proposes a modern approach to interpreting 'abuse'. In doing so, this book establishes an overarching concept of 'abuse' that conforms to the historical roots of the provision, to the text of the provision itself, and to modern economic thinking on unilateral conduct. This book therefore inquires into what Article 102 TFEU is about, what it can be about and what it should be about regarding both objectives and scope. The book demonstrates that the separation of exploitative abuse from exclusionary abuse is artificial and unsound. It examines the roots of Article 102 TFEU and the historical context of the adoption of the Treaty, the case law, policy and literature on exploitative abuses and, where relevant, on exclusionary abuses. The book investigates potential objectives, such as fairness and welfare, as well as the potential conflict between such objectives. Finally, it critically assesses the European Commission's modernisation of Article 102 TFEU, before proposing a reformed approach to 'abuse' which is centred on three necessary and sufficient conditions: exploitation, exclusion and a lack of an increase in efficiency. “Pinar Akman's book stands out as one of the most original contributions to the field published in recent years. There is...every reason to welcome the novel perspectives and methodological approaches explored by the author, one of the most promising legal scholars in the field and one who will undoubtedly deliver works of a similar high quality in the future. “The research study is well written, critical, very interesting, and controversial, much of the analysis is not widely known. The book will be of interest to those concerned with the reform of an important article in the competition rules and the 120 competition authorities around the world, most of which were created only recently. Even though the book is intended to be a research monograph rather than a textbook, it is easy to read and the author is successful in explaining complex issues and concepts in a simple manner. The book is, therefore, highly recommended to everyone. “This is an important and brave book. Its genesis is a doctoral thesis awarded by the University of East Anglia, yet another major contribution from the ESRC Centre for Competition Policy located at UEA. It has all the strengths and none of the weaknesses of a book derived from such research. 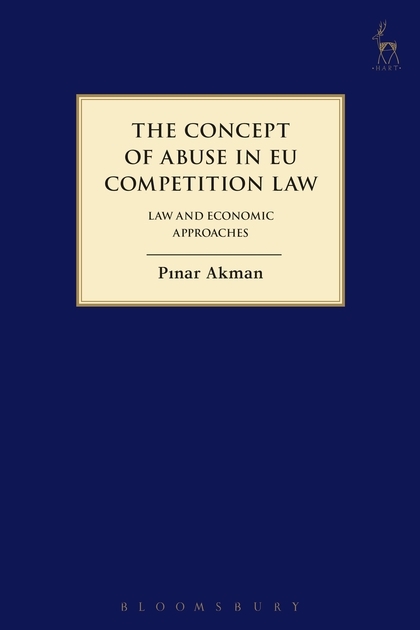 Dr Akman has read widely in several languages and a particular strength of the book is its willingness to place "competition law" in its theoretical and historical content and fully (100 pages) derive from archival research into the genesis of Article 102 and the latest economics. She is not afraid to grapple with some of the complexities, and inconsistencies, of welfare economics and goes well beyond the usual (it must be said, superficial) treatment found in many other texts. A further strength lies in her very careful analysis of the key cases involving abuse. Pinar Akman is Professor of law at the University of Leeds.